It’s almost Christmas morning here in the furniture world. What? Just kidding, but Spring Furniture Market is this weekend!! Furniture Market is to the home furnishing industry what fashion week is to the textile industry! 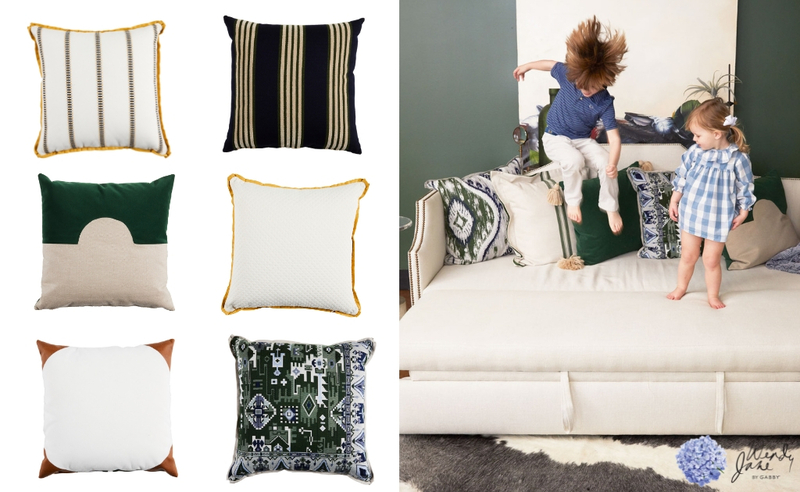 It’s the IKEA of all shopping sprees…where you’re encouraged to sit on every sofa, touch all of the fabrics, pick up the trinkets and fill your hypothetical shopping card with new products to bring back to your stores. So, like kids on Christmas morning, we can’t wait to see what new items will be making their debut so we can bring new goodies to you! It’s always fun to make our predictions as to what the trends will be, and we recently sat down as one big Traditions family to share our guesses (and wishes) on the Spring Market preview! 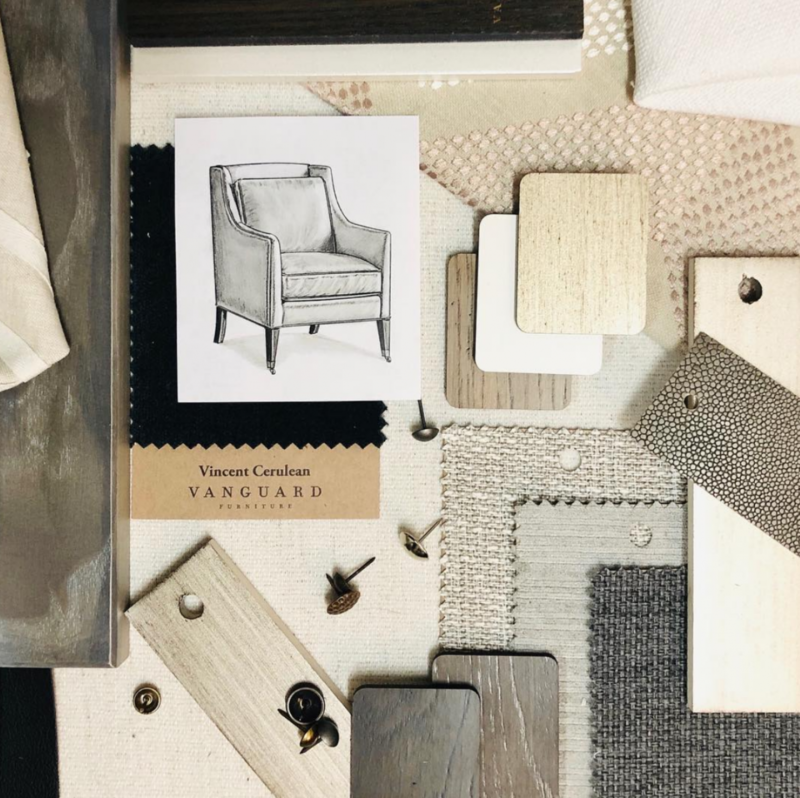 Based on non-other than pure scientific reasoning 😉 and a little sneak peak from one of our much-loved vendors Gabby Furniture, we are guessing that we will see a resurgence of white wood! An example of classic meets current, the ever-popular traditional wood-look will get an airy makeover with brighter whites and white-wash finishes. The perfect ‘clean slate’ for bolder accessories, the white goods will play into the millennial trend of buying for long-term use as they can transcend the future ebbs and flows of trendy color and pattern play! As we’ve seen with the last few markets, we think the organic-feel will continue to be popular! 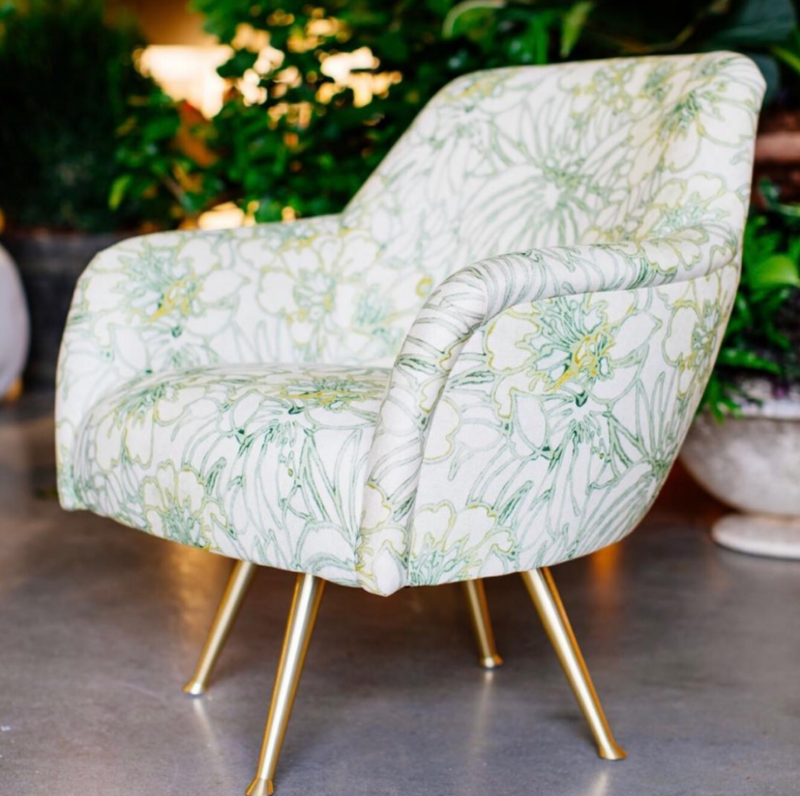 Both in texture and pattern, we expect lots of rattan, nubby fabric, woven textiles, and botanical prints! Based on some of the recent fashion trends, we think the organic-feel will take a bit of a 70’s twist, which we predict will bring some groovy patterns into play. 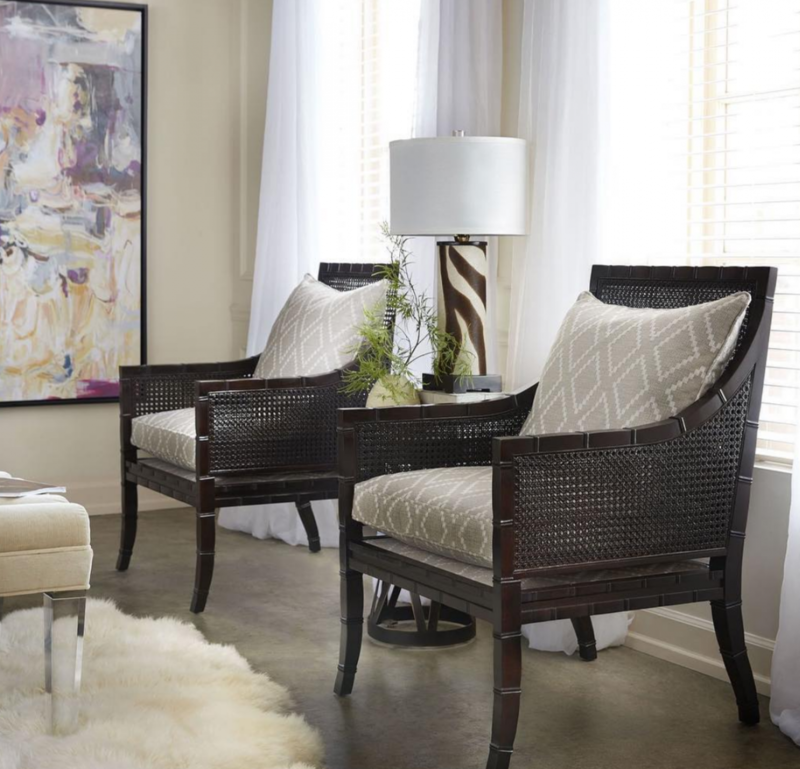 We love these rattan chairs we spied from Stanford Furniture and wonder if we’ll see rattan in new applications?! 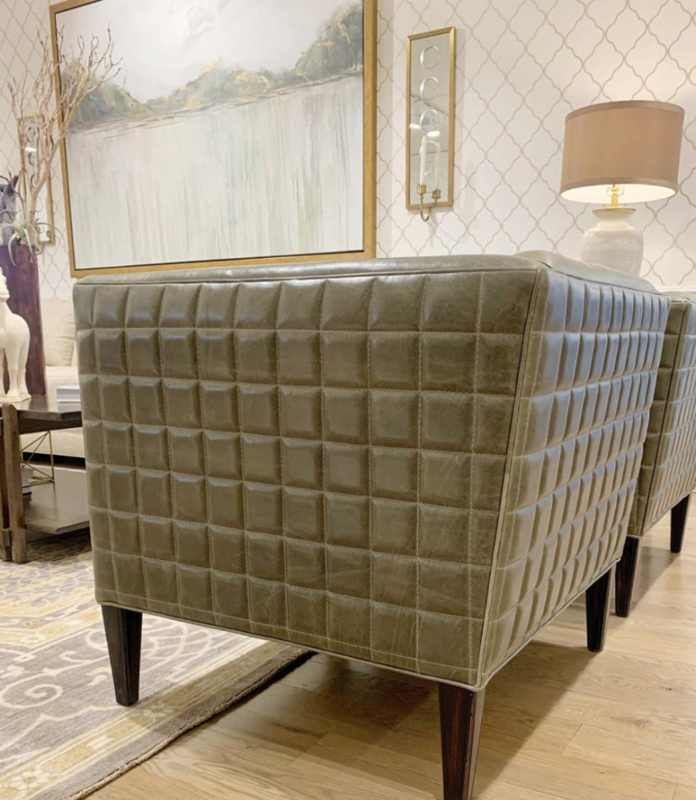 Geometric shapes…graphic lines…we have been seeing this trend in both furniture and fashion and expect we will see more this season, especially when it comes to accessories and finishes. We recently saw a BTS video on Wesley Hall’s instagram (you should follow them if you don’t already…link below! ), showing off their quilted-grid fabric treatment, which tipped us off and got us totally excited for this weekend! As the millennial generation has been proving with their purchase habits, their trend is to buy less things, but go for the higher-quality, longer-lasting products when they do purchase. 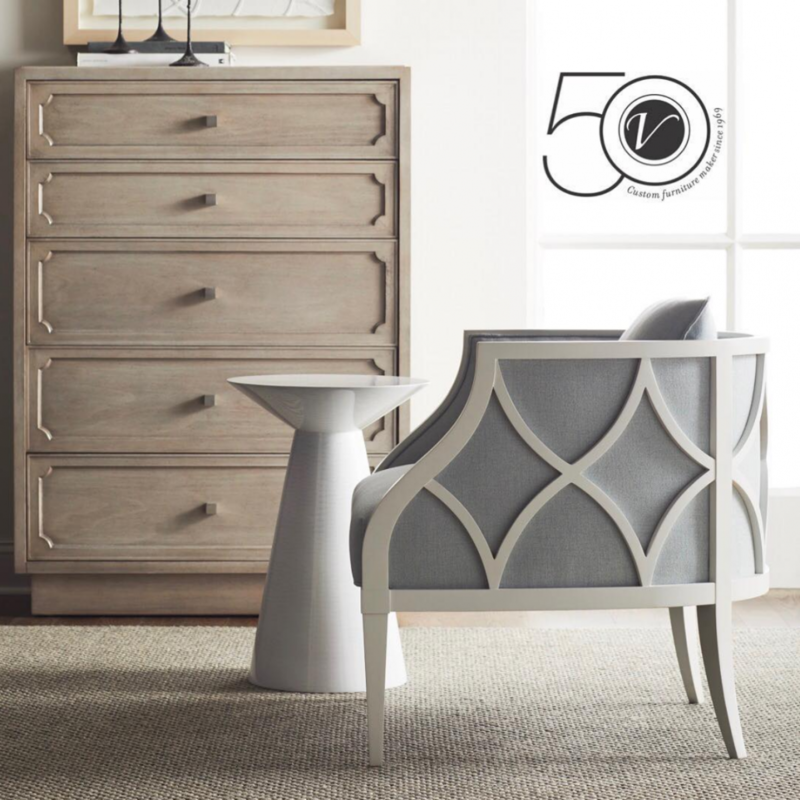 Research shows that millennials are more attracted to the ‘higher tech’ pieces that offer more than one purpose—think gorgeous table top lamp with charging station capabilities; soft sofa pillows done in an outdoor-rated fabric that can be tossed around and wiped clean—and predict we will see furniture manufacturers play into this and pack their pieces with dual function and lots of style! 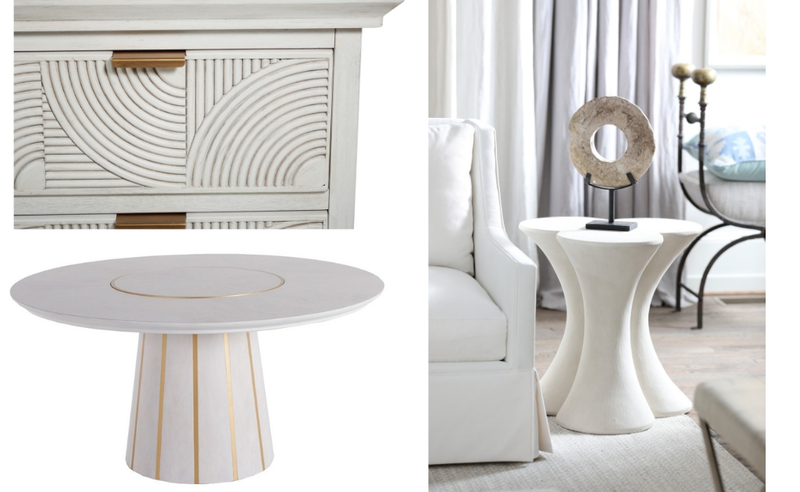 We are so excited for the weekend to come so we can see and share the Spring Market releases! 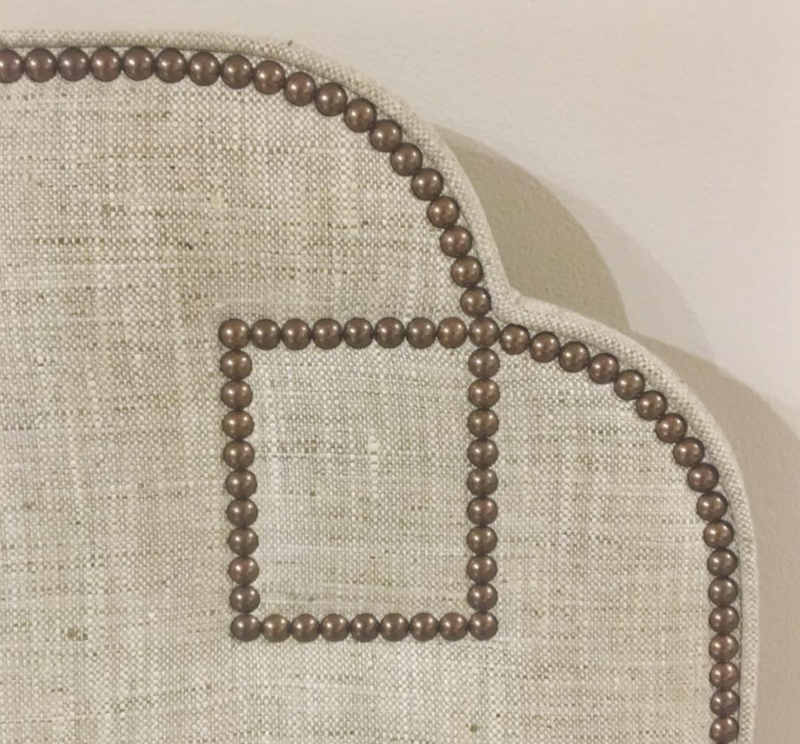 Make sure to follow us on Facebook and Insta so you too, can be in the know 🙂 If you’d like to join in the fun and follow our much-loved lines, here are a few we think you should check out: Stanford Furniture, Wesley Hall, Lee Industries, Vanguard Furniture, Theodore Alexander and Currey & Co!